The harlequin ladybird (Harmonia axyridis) is native to central and eastern Asia. It was intentionally introduced to several European countries as a biological control agent of coccids and aphids. The ladybird arrived in the UK by flying across the Channel, via fruit, vegetables and flowers from Europe and in packing cases from Canada. Since its’ introduction in 2004, it has spread rapidly in the UK, extending its range by 100km per year over the first four years of establishment. Harlequin ladybirds are found in a variety of habitats – towns, orchards, gardens, woods and hedges. The harlequin ladybird is also known as the Multicoloured Asian Ladybird and the Halloween Ladybird. It has a very variable appearance, which can make it difficult to tell apart from our native ladybirds. Adults are 5-8 mm in length and occur in three colour forms: yellow-orange to red with 0 to 21 black spots, black with two red spots and black with four red spots. 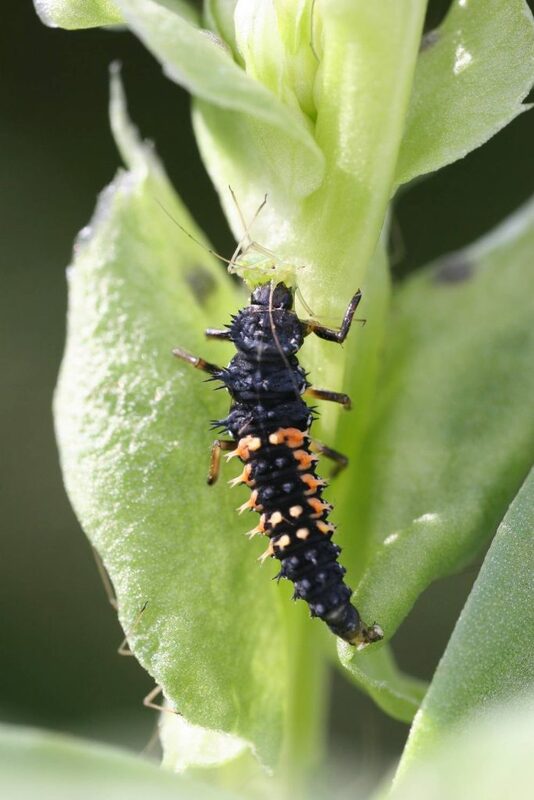 Larvae are covered with branched spines and have orange sides. Harlequin ladybirds are found mainly in towns but are spreading to other habitats within the wider countryside. They occur especially on lime and sycamore trees, which support large aphid populations in late summer. The ladybirds fly readily between aphid host plants during breeding periods and can migrate over long distances. An adult produces 20-50 eggs per day (1000-4000 eggs per lifetime). In temperate regions the egg stage will take four to five days, the larval stage about three weeks and the pupal stage one week. The adults typically live for a year and are reproductively active for about three months. They have two generations a year in the UK. 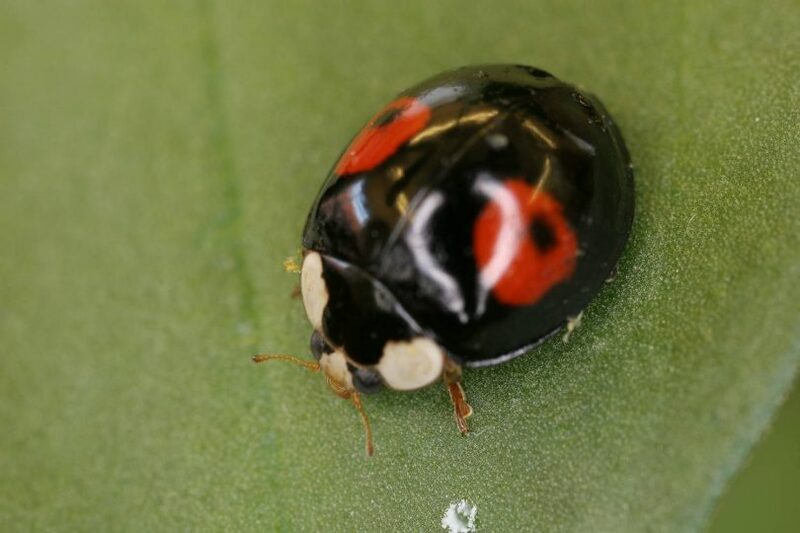 Harlequin ladybirds are larger than most other predators of aphids, and often predate on the larval stages of other ladybirds. They also reduce aphid populations, leaving less food for other species. Both of these effects lead to a reduction in the population size of some native species. A research paper published in 2017 detailed a study that examined changes in ladybird communities at four sites in East Anglia, England, over an 11-year period (2006–2016) following invasion by the harlequin ladybird. Overall, the harlequin ladybird represented 41.5% of all ladybirds sampled in 2006 up to a high of 70.7% in 2015, and was over three times more abundant than the second commonest species. The proportion of native ladybirds declined from 99.8% in 2006 to 30.7% in 2016 (this decline was not seen across all of habitats studied). 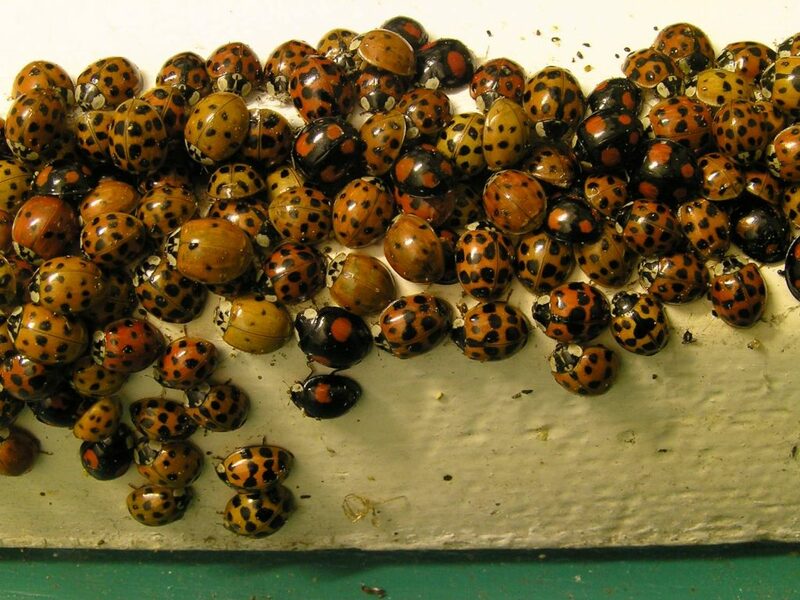 Legislation which attempts to control the distribution of harlequin ladybirds, includes Schedule 9 of the Wildlife and Countryside Act, 1981 (as amended), which makes it illegal to distribute or allow the release of harlequin ladybirds into the wild. 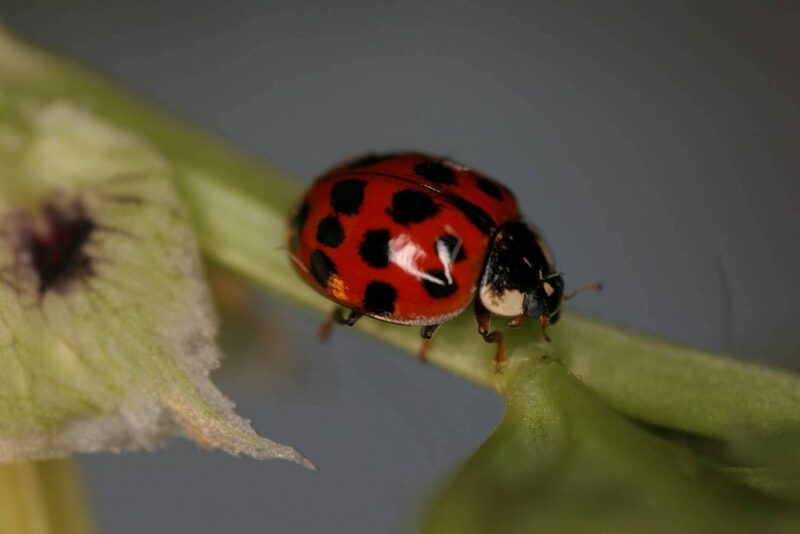 At present, there are no means of controlling harlequin ladybirds in the wild, since any actions taken against them would also be harmful to native aphid predators and other insects. In addition, they are now so well established and abundant that destroying a few in one area would make little difference to their overall numbers. There is however, evidence to suggest that native insects may now have adapted to prey on the harlequins, helping to keep numbers in check. Native ladybird decline caused by the invasive harlequin ladybird Harmonia axyridis: evidence from a long-term field study, 6 October 2017. Peter M. J. Brown & Helen E. Roy. Wiley Online Library.